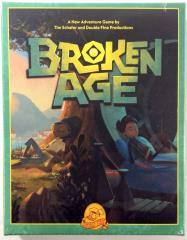 The first graphic adventure by Tim Schafer in 16 years, Broken Age began life as a historic, record-breaking crowdfunding campaign, and the first Act was made available to preview in early 2014. 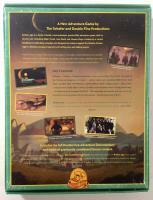 Now the full adventure is here in all its beautiful, 2D, hand-painted glory! It's launching simultaneously on a multitude of platforms, and features an original orchestral soundtrack plus an all-star vocal cast, including Elijah Wood, and Jennifer Hale. Broken Age is a timeless coming-of-age story of barfing trees and talking spoons. Vella Tartine and Shay Volta are two teenagers in strangely similar situations, but radically different worlds. The player can freely switch between the characters and their individual stories, helping them take control of their own lives, and dealing with the unexpected adventures that follow.